It was my wife’s brothers who brought me out of the dark ages by giving me set 6243, Brickbeard’s Bounty. 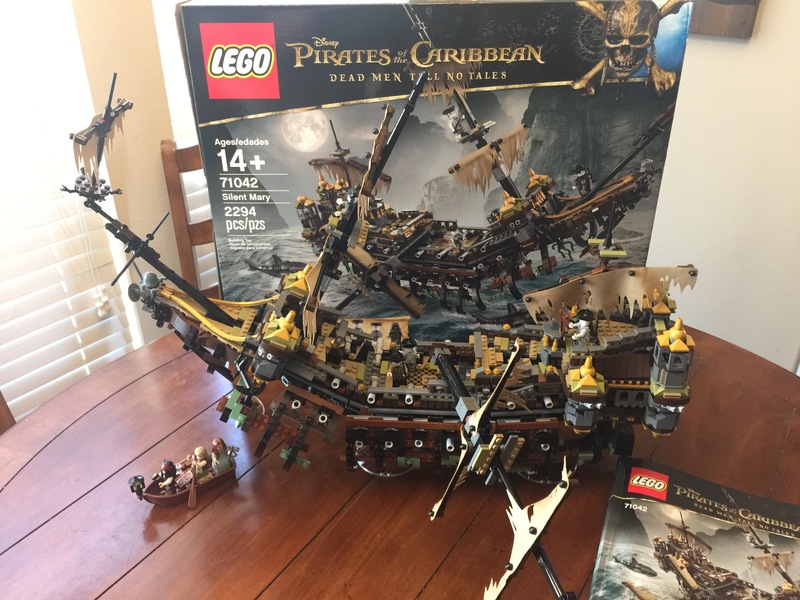 When I was younger, I bought a few of the LEGO® Pirate’s sets, but the Holy Grail was always a pirate ship. Today, I own 8 sailing ships. From the Viking’s boat, to what we’ll talk about today. 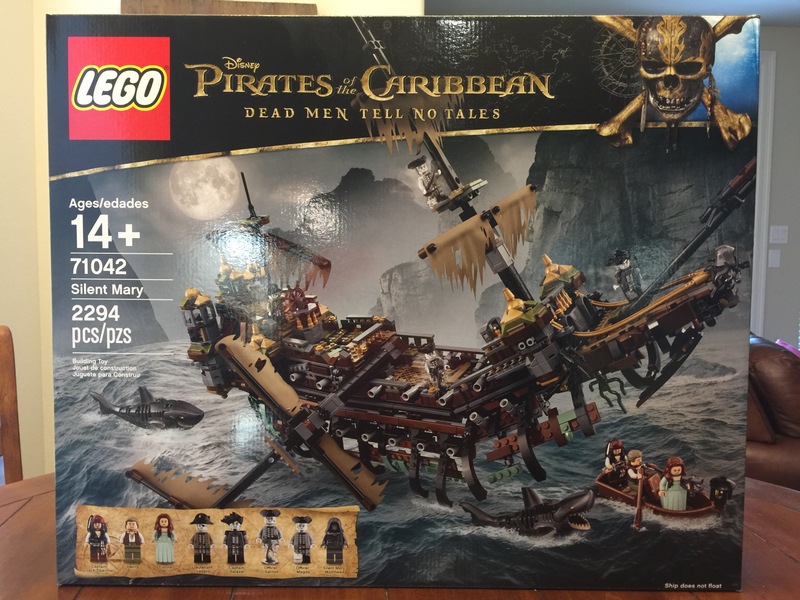 The Silent Mary came to life on the big screen in the latest Pirates of the Caribbean movie, Dead Men Tell No Tales. 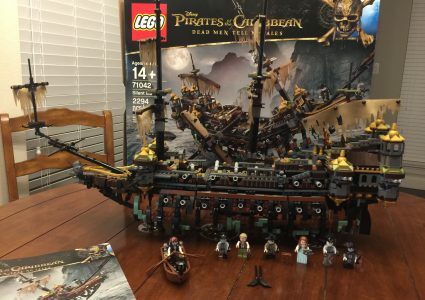 I really enjoyed the movie, and I was surprised that the Silent Mary was the only LEGO® set to come from it. 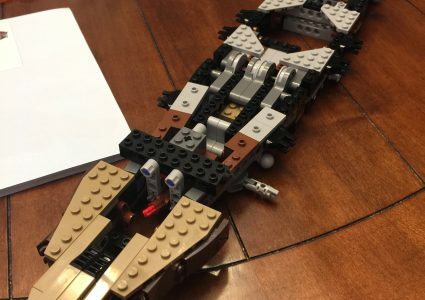 LEGO® made up for it with this impressive model. 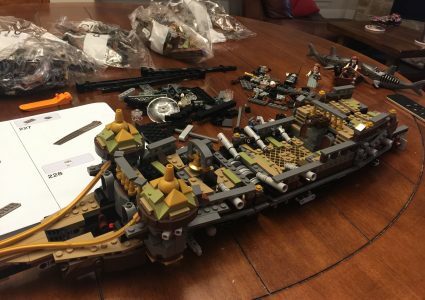 I hope you have seen the movie, otherwise this may contain some spoilers. To start, we’ll introduce the minifigures. Of course we get Captain Jack Sparrow. He has been improved from previous sets, is well decorated, has dual faces, and comes with his trusty compass. Henry Turner, son of Will and Elizabeth (Swann) Turner has dual faces as well. He is printed front and back and has great detail. Carina Barbossa (Smyth), daughter of Captain Hector Barbossa, also has dual faces. (I guess all of our Hero characters needed to wipe the smiles from their faces at some point.) She also comes with the Galileo Diary, which contains the clues to the location of Poseidon’s Trident. That rounds out the *living* characters included with the set. The undead crew of the Silent Mary includes Captain Armando Salazar, Lieutenant Lesaro, Officer Magda, Officer Santos, and the Silent Mary Masthead. The undead crew are well done. 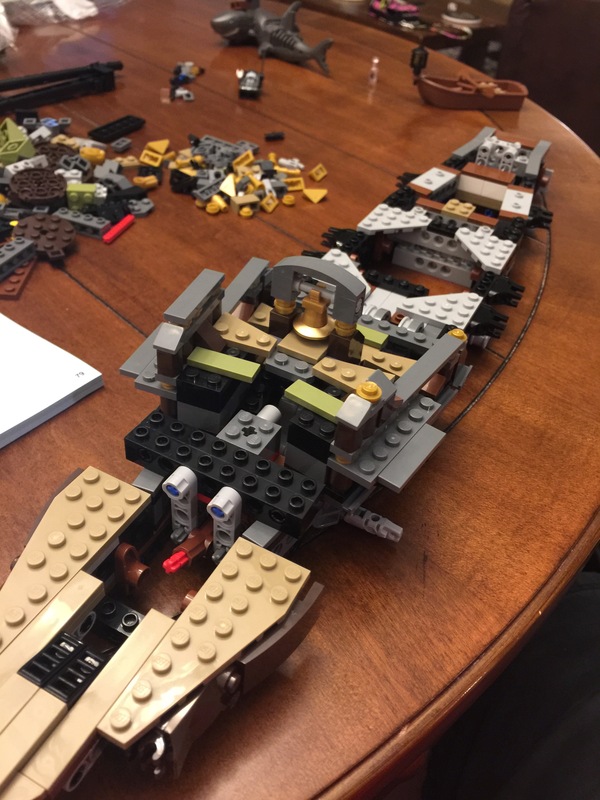 I was really impressed with the details. Captain Salazar’s head is transparent with printing on just a couple of parts of the head piece. His hair flows to the side, as if some sort of mystical wind is constantly blowing. His torso is printed on the back and the front, which flows down to his legs to complete his outfit. Lieutenant Lesaro wears a patch over his eye, and is also printed on the back and front. Like Salazar, the front print blends with the legs, giving the appearance that he is wearing a long jacket. Officer Magda floats over a grey cloud, and Santos has a transparent leg. Both torsos are printed front and back. They come with black brooms, which of course means they will be swabbing the deck! If you’ve seen the movie, you know the Masthead comes alive. 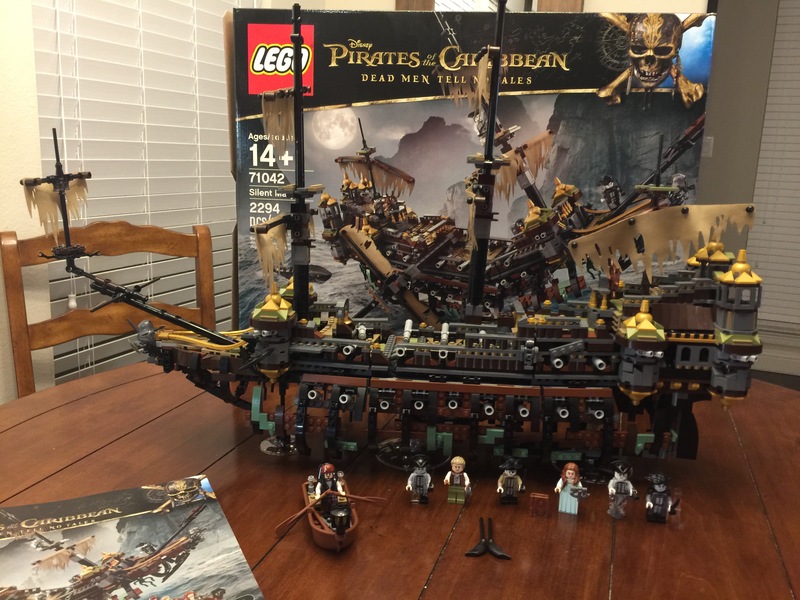 LEGO® included this figure. She is emotionless, but is armed with a sword and shield, which of course, is used to defend the ship. 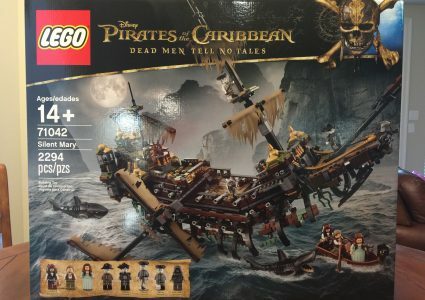 The other two “characters” that are included are the ghost sharks. 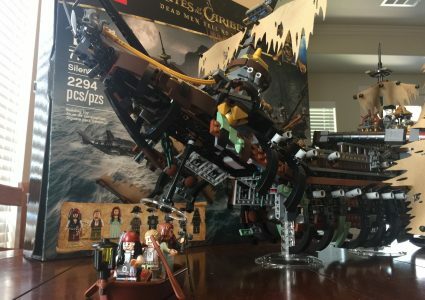 These were cool additions to the movie, and they both look awesome in LEGO® form! 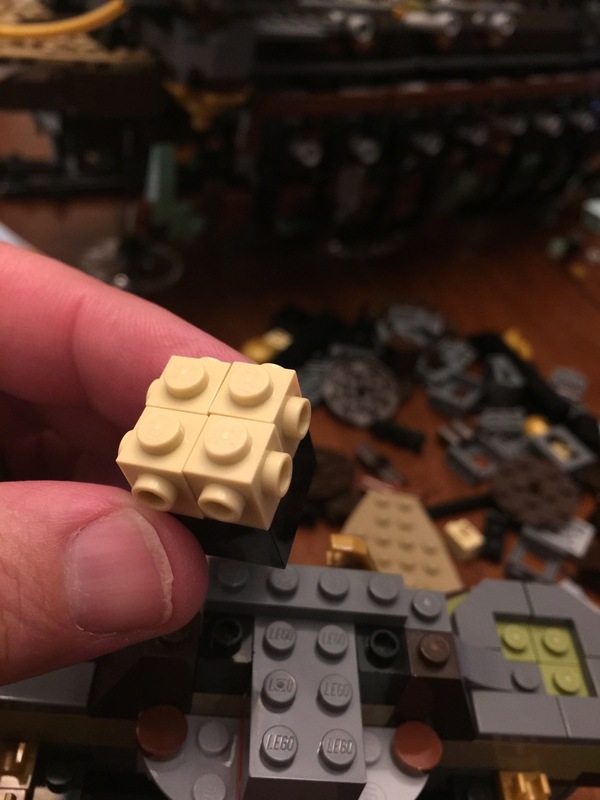 Plus, you can make the sharks “swallow” a minifigure whole. 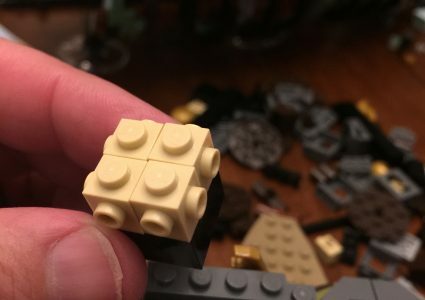 Missing flesh on the sides allow you to look in and see the helpless minifigure inside. 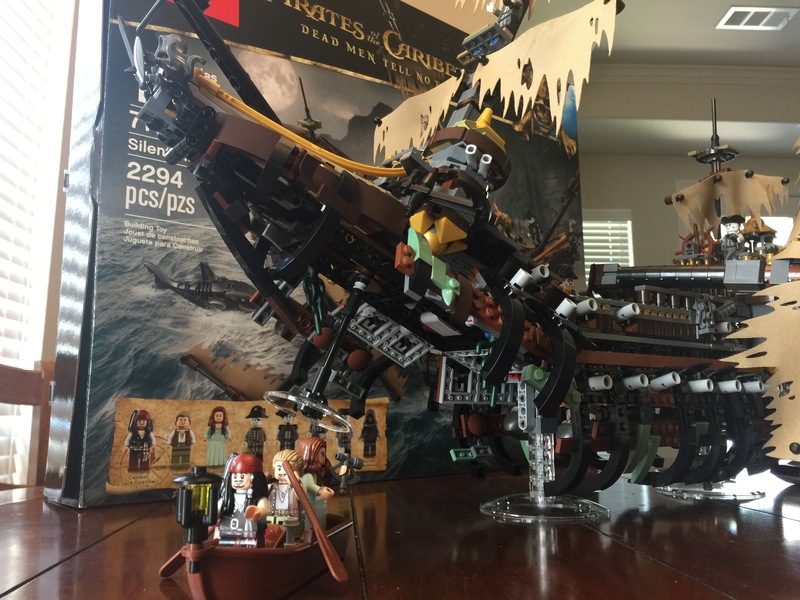 The Silent Mary itself is really a display piece. 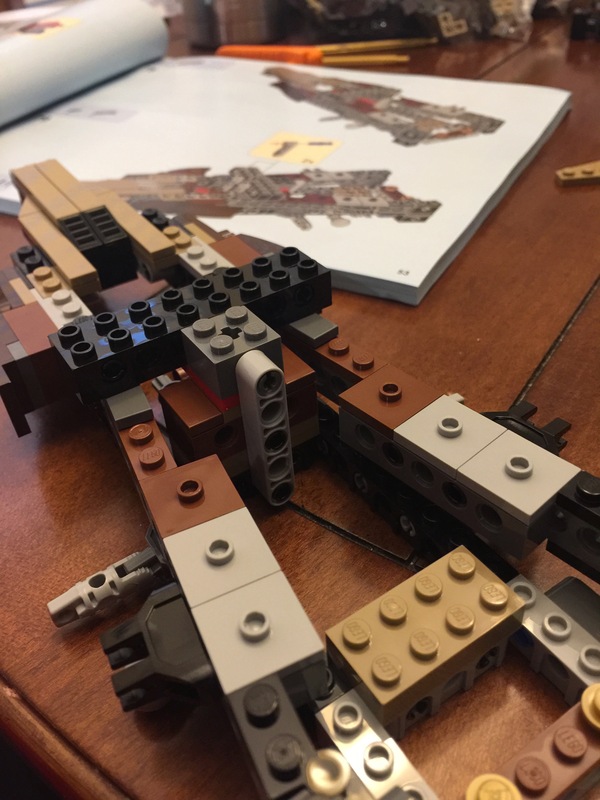 LEGO® included transparent bricks for the ship to sit on so she looks like she is floating in the air. There is no interior for play, and all of the action is on the decks. 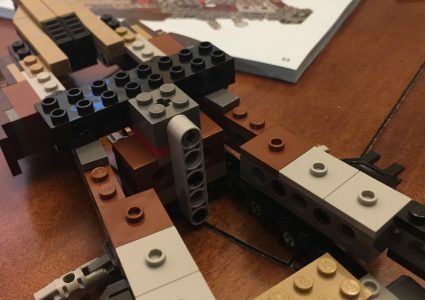 The build itself is challenging, but there is a reason behind it. 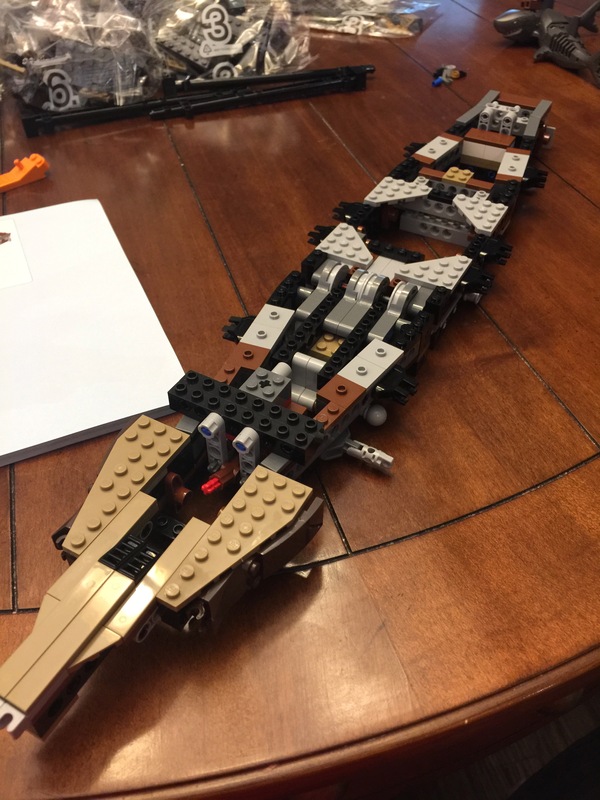 The ship can open up to “swallow” other ships. The center mast can also be moved to give off the illusion that is has fallen over, or it can stand tall and proud! 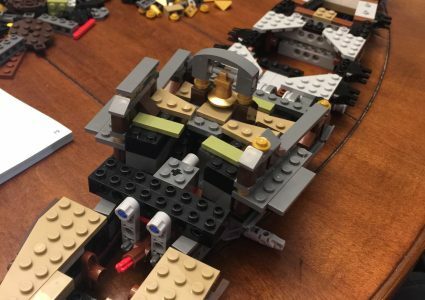 The bow can be raised as well, so LEGO® had to really make the frame strong. And they did! 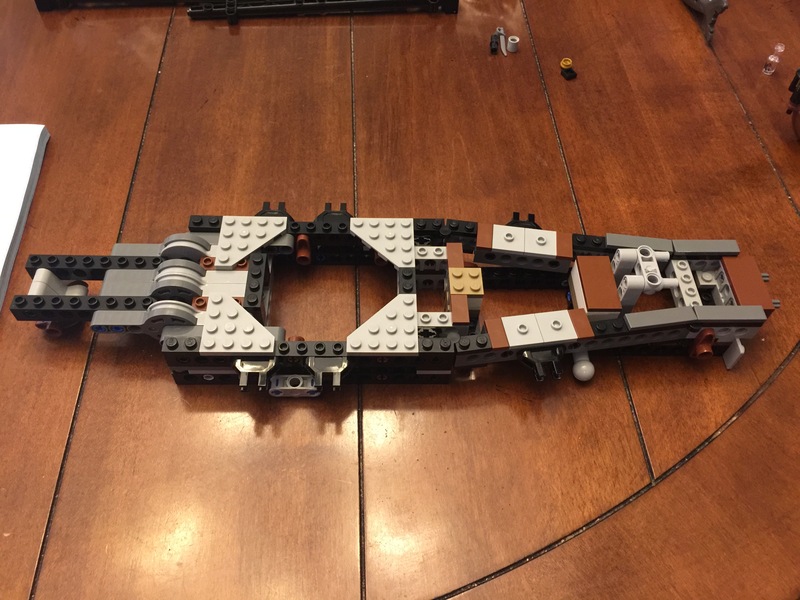 While the exterior pieces will easily come apart, the internal frame is built to last. 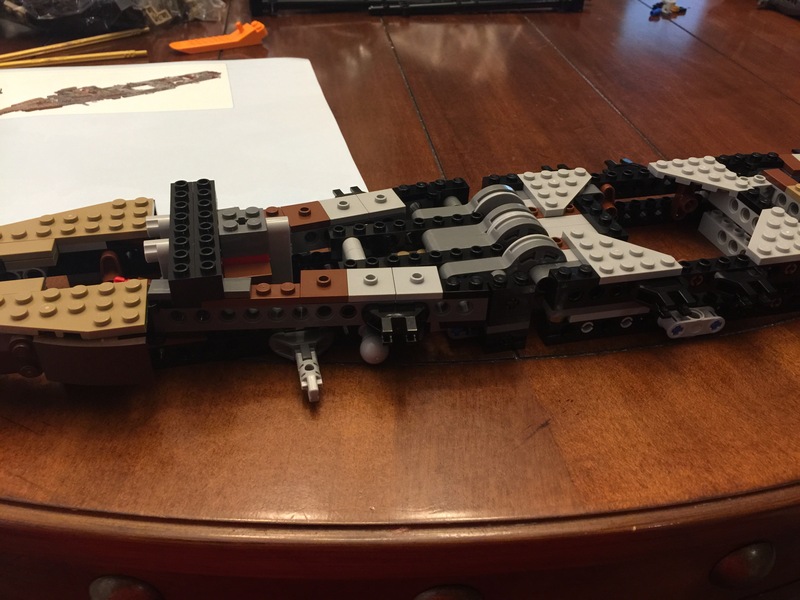 Lots of technic pieces were used to give the frame strength. 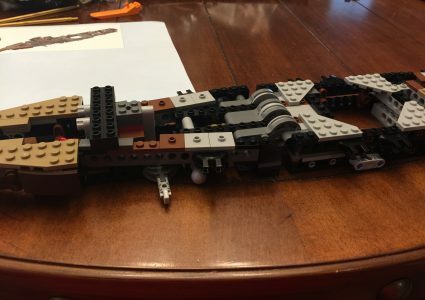 This is not a set you’d want to build and take apart over and over! 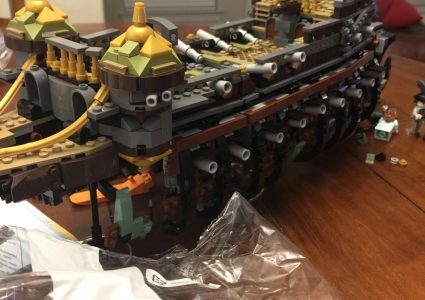 There are quite a few interesting details, including new cannon designs. 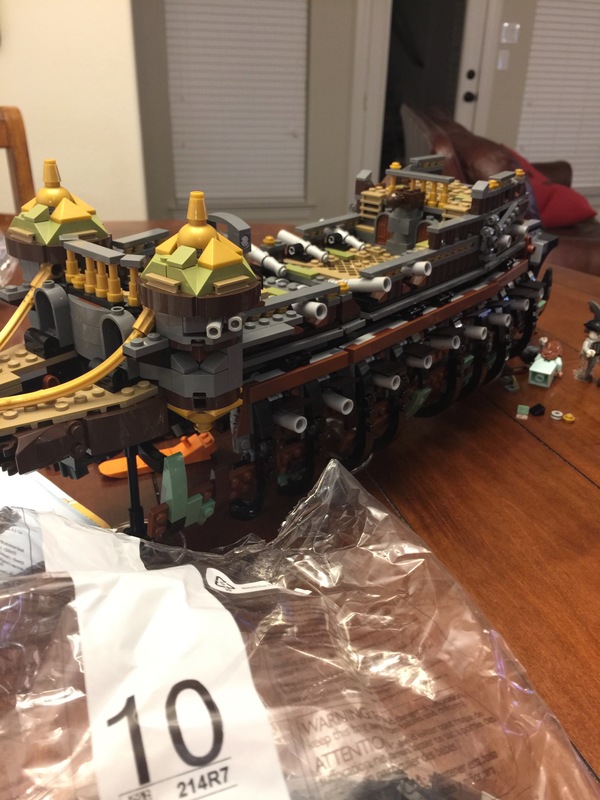 The sails are all torn up, but when you’re undead, and part of the crew on a ship that has been cursed, you really don’t need operational sails. Playability aside, this ship looks great. The elements are a combination of blacks, brown, and greens. The green gives it that idea that she has been under water for some time and the natural growth of the ocean has started to overtake her. LEGO® even includes a few plant elements to help with that look. There are quite a few gold elements as well, which makes one think of how she looked before the curse. 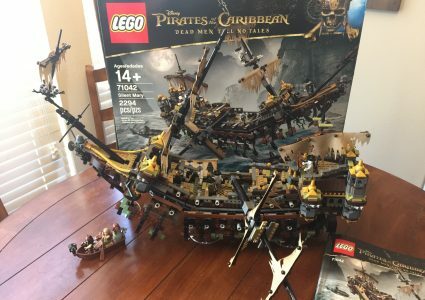 Over all, I would recommend this set if you’re into the Pirates movies, or just the Pirate themes. 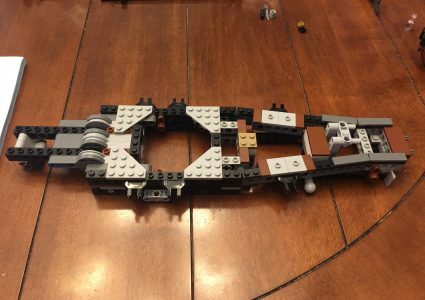 You could also use it for parts to build your own ship, hull not included.